Legislation To Make Lynching A Federal Crime Clears Historic Hurdle In Congress On Wednesday, the Senate approved legislation that, if enacted, would make lynching a federal crime for the first time in U.S. history. Sen. Kamala Harris, D-Calif., listens to testimony at a Senate Judiciary Committee hearing in September. Harris, along with Sens. Cory Booker, D-N.J., and Tim Scott, R-S.C., proposed the anti-lynching bill passed by the Senate on Wednesday. The legislation was proposed in June by three African-American senators – Sens. Kamala Harris, D-Calif., Cory Booker, D-N.J., and Tim Scott, R-S.C. It now goes to the House of Representatives. A spokeswoman for Harris told The New York Times that the Senator's office was working to get the House to schedule a vote on the bill before Congress adjourns for the Christmas holiday. The bill says that if two or more people are convicted of killing someone because of their "actual or perceived race, color, religion, or national origin," they can be sentenced to up to life in prison. If the lynching victim experiences "bodily harm," the perpetrators face no less than 10 years in prison. "This is an historic piece of legislation that would criminalize lynching, attempts to lynch and conspiracy to lynch for the first time in America's history," Harris said on the Senate floor Wednesday. "We finally have a chance to speak the truth about our past and make clear that these hateful acts should never happen again without serious, severe and swift consequence and accountability." While Harris spoke, Sen. Cindy Hyde-Smith, R-Miss., presided. During Mississippi's runoff election last month, Hyde-Smith was caught on camera complimenting a supporter by saying, "If he invited me to a public hanging, I'd be on the front row." Historically, laws that would allow federal prosecution of lynchers were stalled by opposition from Southern Democrats, as NPR has previously reported. Harvard Sitkoff, professor emeritus of history at the University of New Hampshire, told NPR in 2005 that when the number of lynchings spiked during the Great Depression, Southern lawmakers would threaten filibusters in order to block anti-lynching bills. "Particularly in the midst of the Great Depression, the very threat of the filibuster when it was important to pass other legislation as well – that threat was enough now to kill the various anti-lynching bills of that decade," Sitkoff told NPR. However, Sitkoff said the threat of federal anti-lynching legislation eventually helped decrease the number of attacks. "Southern states began to do much, much more to stop lynching from occurring and to themselves prosecute lynchers when a lynching did occur," Sitkoff told NPR. In more recent years, some efforts have been made to address the country's history of lynching. In 2005, the Senate passed a resolution to apologize to victims of lynching, and their descendants, for its failure to enact anti-lynching legislation. And in April, the country's first memorial dedicated to the victims of lynching opened in Alabama. More than 4,700 people were lynched in the United States from 1882 to 1968, according to research out of Tuskegee University. Almost 75 percent of the victims were African American. A 2015 report by the Equal Justice Initiative put the number of African-Americans lynched in the American South between the end of the Civil War and World War II at almost 4,000. 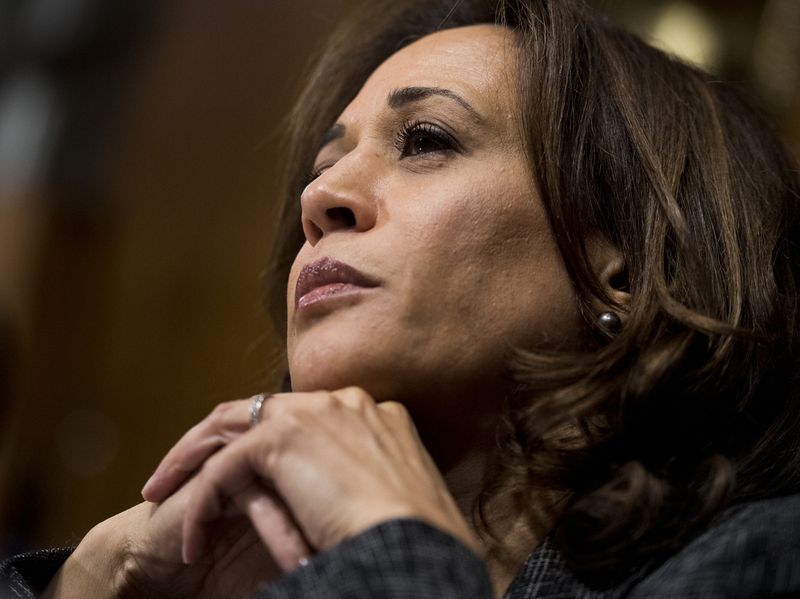 "These crimes should have been prosecuted, there were victims who should have received justice but did not," Harris said in front of the Senate earlier this week. According to anti-lynching bill she helped sponsor, "ninety-nine 99 percent of all perpetrators of lynching escaped from punishment by state or local officials." "With this bill, we are finally able to change that and correct a burden on our history as a country," she said.